5 Brow Gels in 5 Days: Which One Stayed Put? To say that brows are important to me would quite possibly be the understatement of the century. I marvel in the thickness, I play up the shade and arch with a thoughtfully executed cocktail of products, and I live for the compliments. But while brow pens, pencils, pomades, and powders are vital to achieving my desired look, the proper gel is paramount. I swipe it on even when I leave the rest of my face bare. Recently, in order to look my brightest-eyed and bushiest-browed, I decided to take the gel matters into my own hands. I collected five of the top-rated eyebrow offerings and dedicated an entire workweek to experimenting with each one. The objective? Find the best brow gel, once and for all. I went to a workout class, danced all night, and sweat my face off on the subway platform, all for the greater good of this piece. Keep reading to find out which product won. The Review: Remember this one? 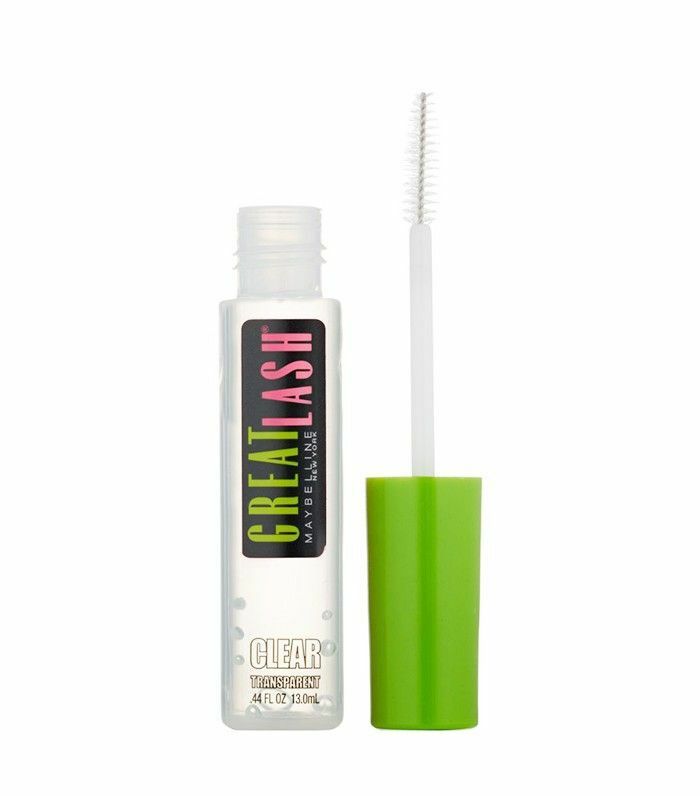 I thought it appropriate to test one of the most tried-and-true products on the market—Maybelline’s Great Lash formula. This brand launched the first mascara I ever purchased for myself and will always hold a place near and dear in my heart. Now, it has a clear mascara–brow gel hybrid to keep your lashes and eyebrows in place (but very natural-looking). I really loved how nicely it separated each hair and set my brows for the entire day. On this particular day, I spent the majority of my time sitting at this desk, in front of this very computer. So on the scale of major activity, it was about a zero. But to be honest, that’s how a lot of my days go. The gel held up quite well, and the hairs were perfectly in place by the time I returned home at the end of the workday. It had a bit of sheen too, so they were glossy in all the best ways. Plus, you can’t beat the price. The Review: This one has long been my go-to. I love the hold (the brow hairs do not move), and it’s important to me that each brow stays in its proper place. I feather each brow, brushing the hairs up and out to define the arch and keep the strays under control, as I never tweeze or wax. 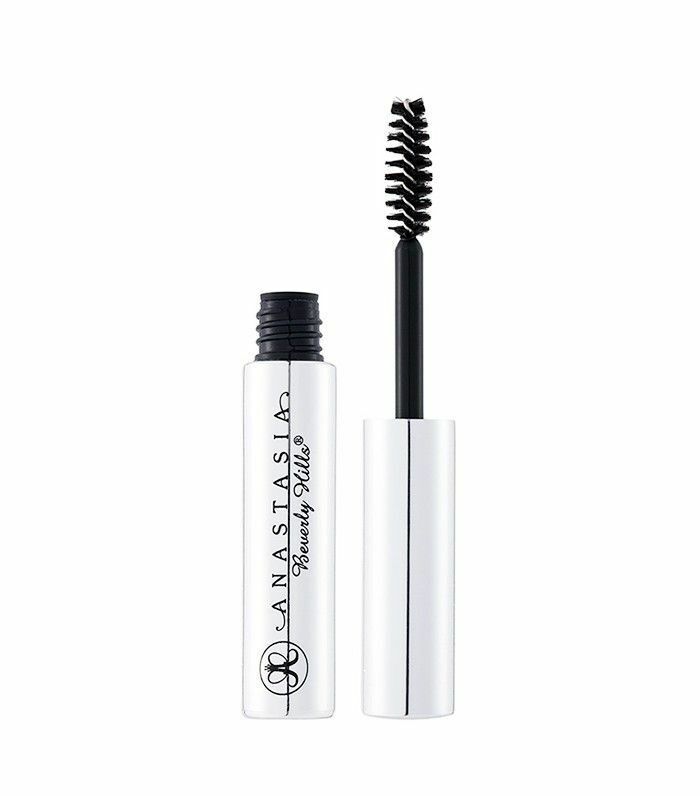 The formula ensures there’s no flaking or stickiness in sight, and it’s enriched with chamomile to condition your brows as you wear it each day. The best part? It’s small enough to stick in your bag, so you can have it on hand everywhere you go. As part of the experiment, I made sure to wear this one when I went out to celebrate a friend’s birthday. I like to dance, and on this particular night, I really got down. The air conditioning was on, but that didn’t stop my face from sweating like crazy. That combination could be the end of many brow gels, so I did a mirror check in the bathroom at midnight. As expected, not a hair was out of place. My brows were still intact and looking like a million bucks. The Review: I love me some Charlotte Tilbury, so I was obviously psyched to give this product a try. It’s formulated with volumizing, elasticizing wax; nourishing vitamin E; and strengthening castor oil. But the most exciting feature is the tiny brush. Called a “micro-fine miracle precision brush,” it coats, shades, and grooms every single hair. Seriously! 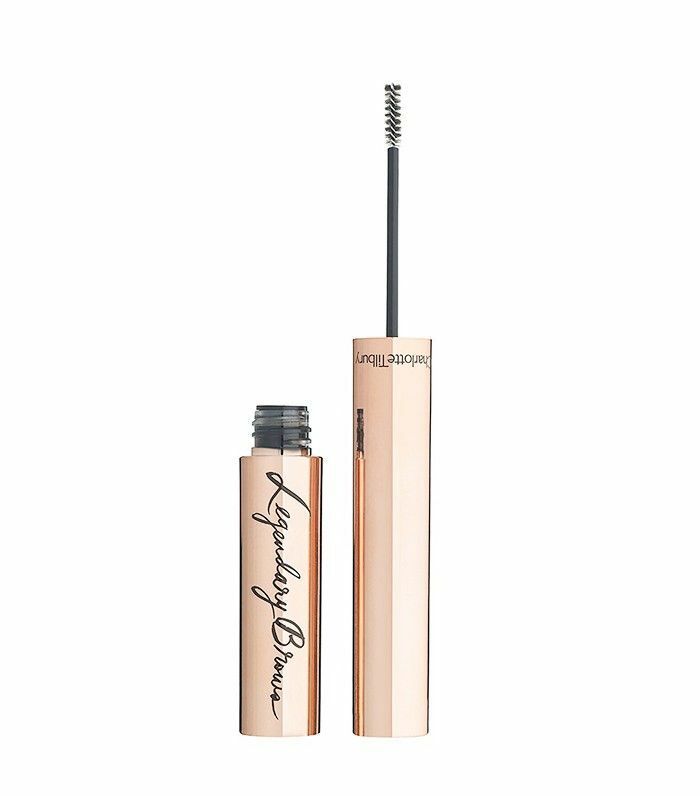 Where the usual brow brushes leave behind those tiny baby hairs and peach fuzz, Legendary Brows picks up the slack. It sculpts, adds structure, and defines your face in (truly) seconds flat. I swiped it on before a particularly sweaty yoga class and set out to prove I could keep my brows in place, no matter the setting. As it turns out, after 90 minutes of posing, stretching, and inversions, they were a bit mussed. While the gel does so, so many great things (conditions, strengthens, volumizes), the actual hold wasn’t as expected. To be fair, I put those brows through a lot, and this product is absolutely wonderful. Next time I’ll give it a try during a less active day. The Review: Developed by Chosungah, the first major professional makeup artist in Korea, this fun, bold tinted brow gel is formulated to match all hair colors without fading and features a cool ergonomically designed, two-in-one applicator brush sponge tip. Plus, it’s waterproof. The blend mixes phyto keratin and henna to nourish and protect your brows against the elements. Naturally, I was intrigued. First, I read the directions because the brush does not look like your average brow spoolie. It reads, “Coat the brows by brushing against the direction of hair growth. Apply an additional coat, this time in the direction of growth. With the slated tip, fill in the sparse gaps and draw in lines if necessary.” I have to say, it sounds complicated and it was a bit difficult to figure out at first. Once I applied, I realized I hadn’t chosen the correct color and my brows looked off. In the name of journalism, I ventured on out the door. Throughout the day, I touched up a few times. It didn’t hold as much as I would have liked, but it definitely was fun to apply and play with. I think had the color worked with my complexion, I would have kept it around in my arsenal. 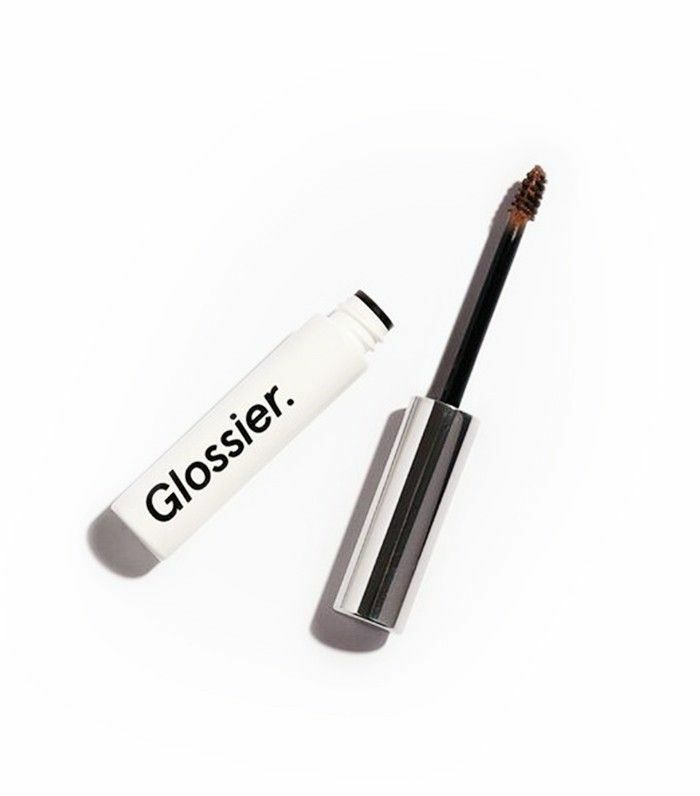 The Review: I've come to love a few of Glossier's launches, and, because of my affinity for all things brow-related, Boy Brow was next on my list. It’s meant to thicken, fill, and groom your brows into place courtesy of a creamy wax formula inspired by traditional hair pomade. 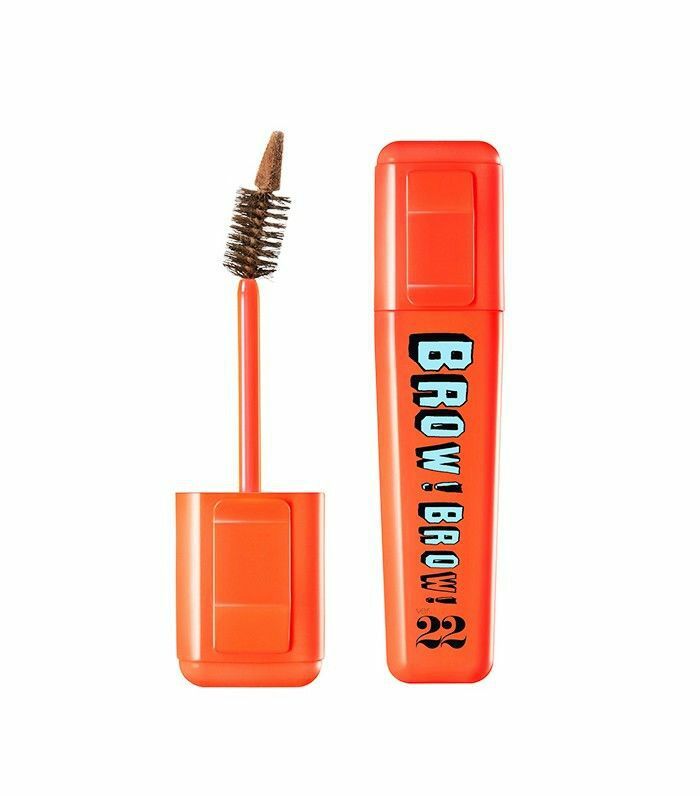 It’s soft, maintains a flexible hold, and has a bit of color to make your brows look fuller after use. I wore it on the hottest day of my most recent vacation—sweat was abundant, and the need to constantly wipe my face and furrow my brow was imminent. At first, things got messy because I didn't let the formula dry properly. It kind of looked like I had accidentally gotten melted chocolate on my face. After reapplying and letting it set, though, I was shocked at how much I loved Boy Brow. I know it's been a holy-grail item for the brand, but I was never previously into tinted gels until now. I thought they didn't offer enough color and coverage to properly fill in my brows. I was wrong. Immediately my brows were beefed up, stayed in place, and feathered out nicely. Looking for more honest reviews? Here’s what happened when I tried my fellow Byrdie editors’ favorite mascaras.